Back in 1996 we commisioned a ceramic mug based on our second postcard artwork. 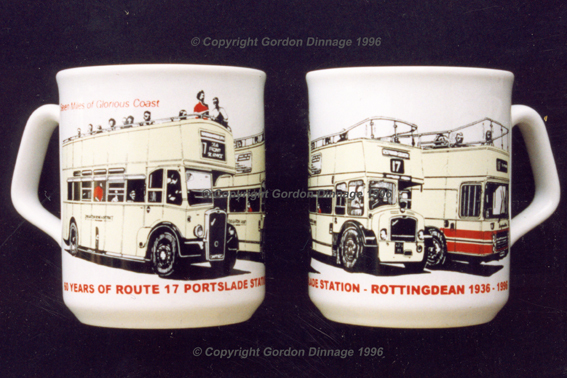 This was first sold at Amberley Bus Riders Day that year & sold out in only three months, and still having requests for them today. Same principle as our new Enamel Pin Badges, these mugs are made to a strict 100 only, & include a certificate. 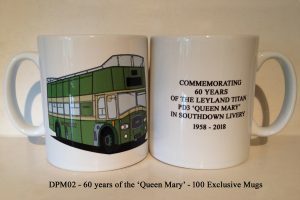 Our second Ceramic Mug is being released again on Sunday 23rd September 2018 on Bus Riders Day at Amberley, as the Enamel Pin Badge, it is based on the ‘Queen Mary’ 409 DCD commemorating now 60 years since the livery first came to these vehicles in 1958, & still in service in the original company today. We hope to add to our range of Ceramic Mugs just as we are with the Enamel Pin Badges for the collector and enthusiast. Each of our mugs will equally be researched in design to bring something new and not created in these styles before, therefore a unique and one off product. 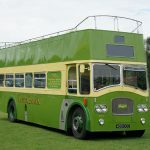 All our commissioned products will be created from in-house artwork taken from photographs of the original vehicle, and made to a strict and certificated run of 100, and not repeated to the same design, therefore once a run has sold out we would only replace that design with a different but maybe similar image.